The EVL® kit is compact and ergonomic. 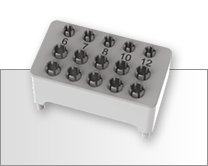 It contains the instrumentation for the initial and intermediate drilling sequences for inserting EVL® K, EVL® S and EVL® C implants. The final drilling for EVL® K, EVL® S and EVL® C implants is carried out using the disposable final drill supplied with the implant. 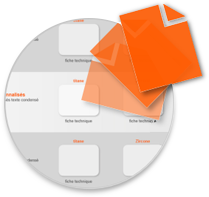 The instruments are arranged on an easy-clean removable tray. 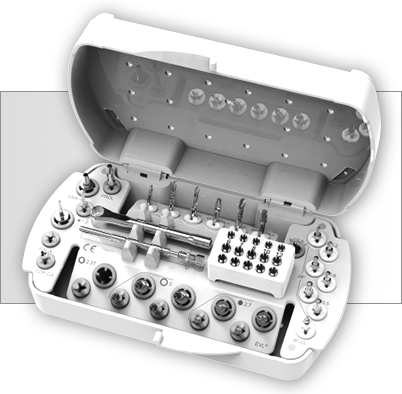 The kit also includes the drilling depth stops. These come in a removable container enabling direct contra-angle pick-up. EVL® implants are supplied with their disposable final drill sized for the diameter and length of the implant shaft. 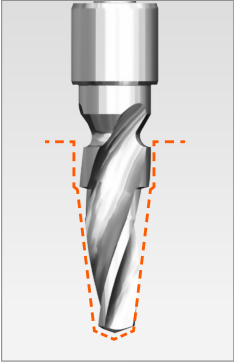 The cutting angle of the edges is designed to give the practitioner constant, suction-free control of the progress of the drill. he open point angle of the final drills reduces apical over-drilling and thus reduces the invasiveness of the osteotomy. The 3 lips give the drill excellent stabilityat the start of drilling. 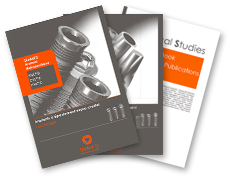 The standard incrementation of the diameters from 0.5 mm to 0.7 mm provides adjustable progressive preparation according to the bone type. With this design, the drilling axis can easily be corrected if necessary. The helical grooves and the escape angle of the drills promote optimum removal of bone shavings, whatever the bone density. Global D drills are machined by leading companies specialising in the manufacture of cutting tools for medical applications. 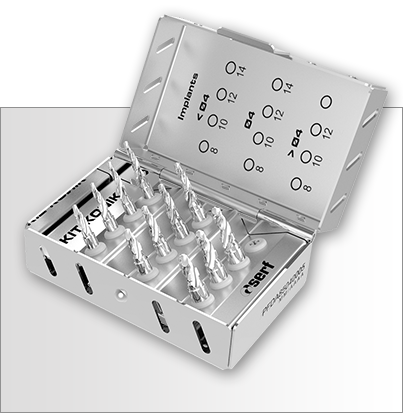 Re-usable final drills for the EVL® K implant are also available as an option in the KONIK kit. Over or under-sizing of the implant shaft according to the bone density is totally homothetic to the EVL® K implant.The primary stability is uniformly distributed over the endosseous surface of the implant.